The first race day of the 77th Hahnenkamm-Races comes to an end with a sea of Austrian flags waving at this evening’s award ceremony, in the scope of which a bib draw for the top-athletes completed the start list for tomorrow’s Downhill. Start numbers for those racers further down in the global ranking had already been drawn during this afternoon’s Team Captains Meeting. The Downhill will be opened by US racer Steven Nyman, who was fastest in the first training run. 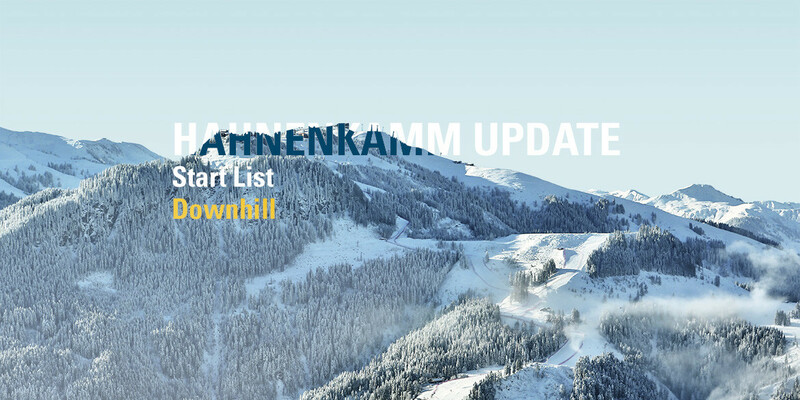 Hannes Reichelt with bib number six will be the first Austrian to race, while Super-G victor Matthias Mayer waits for his turn as 18th in line. Click here to view the entire start list.